This Pro Racket Bag is a tournament level bag for holding multiple rackets (Up to 6 Rackets), shoes and clothing. 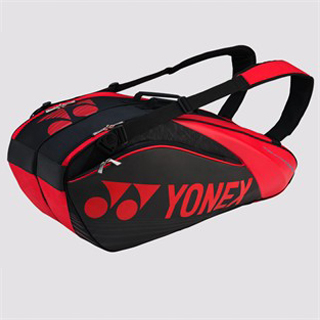 Free delivery available on Yonex Pro 6 Racket Bag 9626 Blk-Red! Order now! Do you own the Yonex Pro 6 Racket Bag 9626 Blk-Red?